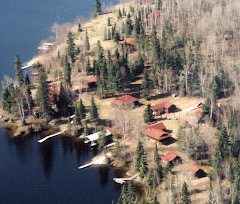 Bow Narrows Camp Blog on Red Lake Ontario: Cork should be flagged for "encroachment"
Cork should be flagged for "encroachment"
The first thing all our dogs learn when they come to camp as puppies is that they are not allowed in the kitchen. Never. Not under any circumstances. They learn it, they really do, but then they start pushing the limits. 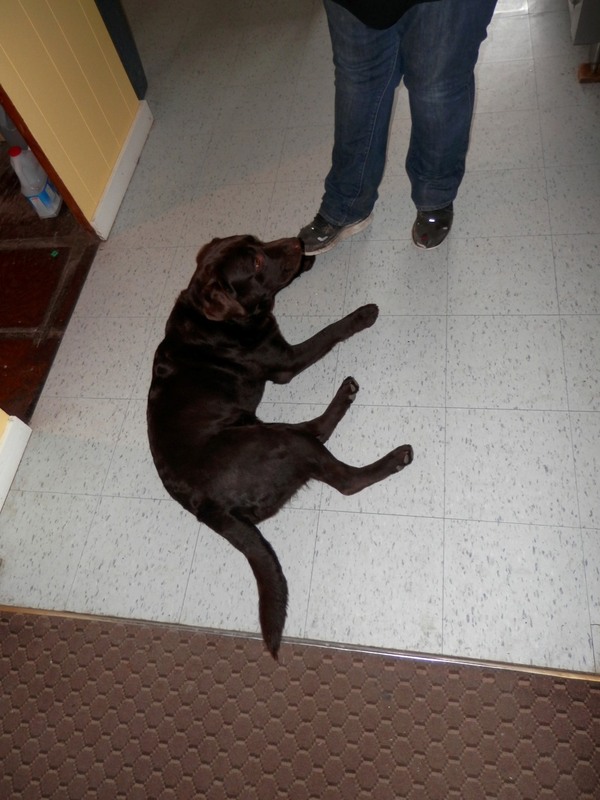 Most just hung their front paws onto the kitchen tile. The bulk of their bodies was still on the carpet. If taken to court, their lawyer would probably argue that wherever the majority of the dog laid constituted his official residence. Our old dog, Sam, took it a little further. A runner in baseball is considered to still be on the base if he is just making contact with one foot. So Sam left one foot firmly in the dining room. Now Cork has taken this argument to what has got to be the final extreme. That is a great TAIL. Dogs give such love, and joy to our lives. Their body language mastery should be a lesson for us all. This is one incredible lake trout! What a beautiful, wonderful winter! We're going to howl tonight!